First of all, a very happy & a prosperous new year to all. I know, I am late in wishing. But, I have so many valid (really?!) reasons behind it. Anyways, better late than never. 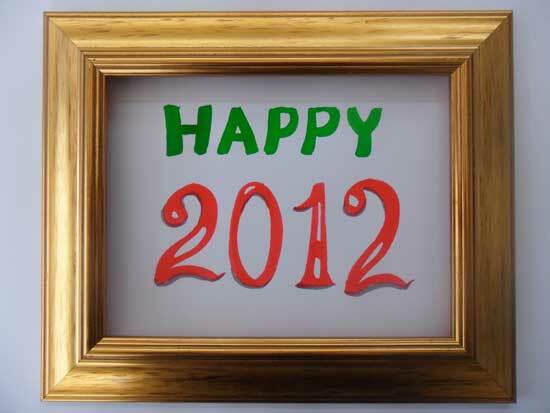 Enjoy twenty-twelve in your way! Back to the recipe. 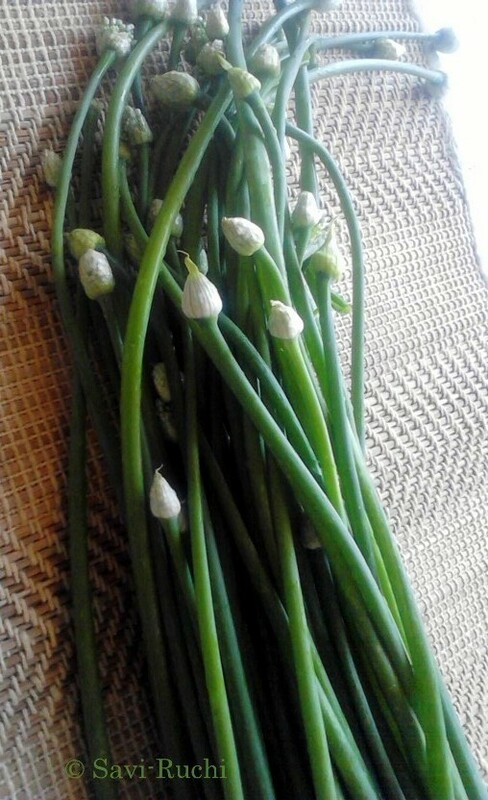 Spring onions or green onions are called erulli hoovu or erulli kaavu in Kannada. My mom makes a tasty gojju/curry with this & I love it. This time, mom picked up the spring onions from my native & I made the curry as per her instructions. We all loved it with akki rotti & rice! Prepare the spice paste first. Heat oil in a medium pan. When oil is hot, add urad dal followed by sesame seeds. Saute the sesame seeds on low heat for 20-30 secs. Throw in the red chillies & saute till the aroma of the red chillies fill the kitchen (or till the chillies become crisp & change its color). Allow the chilli mixture to cool. When cooled, throw it in a blender along with roasted channa dal, coriander leaves & grated coconut. Add 2-3 tbsp of water and prepare a smooth paste out of it. Scoop out the paste keep it aside. Heat oil in a broad pan. When oil is hot, add the cumin & mustard seeds. When seeds splutter, add curry leaves & chopped spring onion greens. Saute the greens for a minute. Ensure oil is evenly coated on the greens. Keep the heat medium. Continue sauteing for 2-3 mins. Add the jaggery, tamarind paste, salt & spice paste to the greens. Add around /2 cup of water. Let the gravy thicken for 5-8 mins. 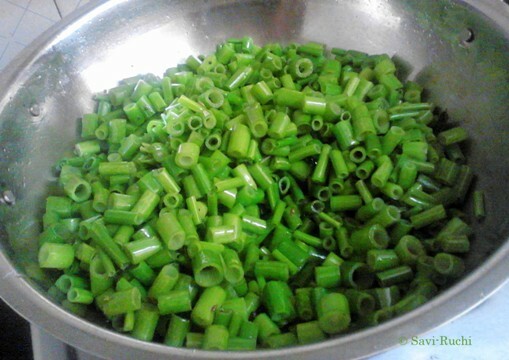 It is important to use tender green onions while preparing this gravy, else the greens become very chewy after cooking. Roasted channa dal/hurigadale could be replaced with gram dal/kadale bele/channa dal. If you intend to use channa dal, do roast them in oil along with the urad dal & rest of the procedure remains same.